On Sunday, two people, including Police Elite Unit Sergeant Major Yosef Kirma, were killed in a terrorist attack in north Jerusalem by a Palestinian terrorist well known to authorities as someone who fit the classic profile of a hardened terrorist. 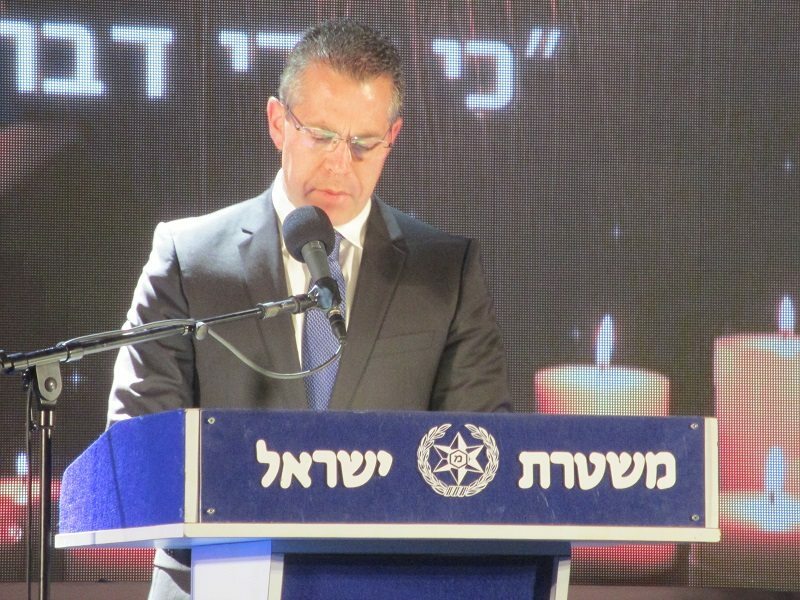 Shortly after the attack, Israeli Public Security Minister Gilad Erdan pointed a finger at Facebook, accusing the social media giant of incitement. “We have said all along that due to the rise in incitement, individuals would perpetrate attacks. Facebook has just reopened pages of Palestinian terrorism because of external pressure and that’s scandalous,” he added. Just hours after Sergeant Major Yosef Kirma was murdered by an Arab terrorist in Israel’s capital Sunday morning, supporters of the murderer flocked to Kirma’s personal Facebook page – now a memorial page – to smear Israel and spread anti-Semitic incitement and propaganda. Facebook users from Israel’s Arab sector bombarded Kirma’s memorial page with abusive taunts, anti-Semitic smears, and explicit incitement to violence and even threats of murder. Some of the offensive posts included images of anti-Semitic caricatures, pictures of bloody drawn knives and vulgar language. Some Jewish users responded to the taunts and digital abuse, while others reported the incitement to police. But wait… Didn’t Facebook and Israel agree to work together to ensure this doesn’t happen? The Israeli government and Facebook have agreed to work together to determine how to tackle incitement on the social media network, a senior Israeli cabinet minister said on Monday. Facebook has apologized for disabling the personal accounts of several editors and executives at two major Palestinian news publications, according to a report from The Electronic Intifada. Facebook says the accounts were mistakenly suspended after being reported for violating the site’s community standards, but the publications believe the incident is related to Israel’s recent push to combat online incitement to violence. Four editors at the Shehab News Agency and three executives from the Quds News Network had their personal accounts disabled on Friday, according to Al Jazeera. Both Shehab and Quds cover news in the occupied Palestinian territories, and their Facebook pages have 6.3 million and 5.1 million likes, respectively. A supervisor at Quds told The Electronic Intifada on Friday that the editors were given no explanation for the suspensions, which they believe were linked to a recent agreement between Israel and Facebook to crack down on content that incites violence. The Israeli government says online incitement has driven a wave of Palestinian street attacks over the past year, and it has called on Facebook to do more to police its platform. In July, Israel’s public security minister described Facebook as a “monster” during a televised interview, and the justice ministry is pushing legislation that would force Facebook, Twitter, and other web companies to remove content that incites terrorism. Palestinians say the Facebook suspension move is the result of an agreement between the social media giant and the Israeli government. Activists took to twitter to protest against the move and called for a boycott of Facebook “to protest the censorship agreement between Facebook and the Israeli government”. Earlier this month, a Facebook delegation met Israeli Justice Minister Ayelet Shaked and Public Security Minister Gilad Erdan to “improve cooperation against incitement to terror and murder”, said a statement from Prime Minister’s office. It appears that Facebook did what it initially agreed to do, then had a change of heart after pressure from activists. Debka noted that the terrorist, 39-year-old Musabah Abu Sabit, used Facebook to spread his messages of hate — the very same kind of hate the site allegedly promised to help curb. He was due to start serving another four-month jail sentence on the day of his shooting rampage in Jerusalem. This terrorist was also prominent in extremist Palestinian circles as “the Lion of Jerusalem.” He was photographed marching with the flag of the Hamas terrorist group and caught as a activist for the outlawed violent anti-Israel Islamist Murabatun movement. Abu Sabit did not operate underground. His hate-filled inflammatory messages with self-images appeared in Facebook, the latest one two days ago. Homeland Security Minister Gilead Erdan’s stated to the media after the attack that no specific warning had preceded the attack and charged Facebook with responsibility for reopening its pages to Palestinian incitement. Neither claim accounted for the security authorities having missed the vital clue to the coming attack. After the attack, Abu Sabit’s daughter came out, proclaiming her father a “great man” and some in Gaza handed out sweets in celebration. Despite the terrorist having had ties to Hamas, the Fatah party also responded to the killing, ascribing the attack to Israeli policy regarding Jerusalem and Temple Mount. The local Fatah branch in East Jerusalem additionally announced a day of mourning in memory of the terrorist. The main Salah a-Din Street in East Jerusalem, in addition to several neighborhoods in the city, saw clashes between Palestinians and Israeli security forces throughout Sunday. There were also celebrations of the attack in the Gaza Strip and the East Jerusalem neighborhood of Beit Hanina, as candy and baklava was distributed to people on the street. Several Palestinian media outlets mentioned that those handing out the sweets were the terrorist’s own family members, who themselves own a sweetshop in the Old City of Jerusalem. Eight people were shot in Sunday’s attack. According to Israeli Police Commissioner Ronnie Alsheich, the entire incident lasted no more than three – four minutes. Incidents like this, by the way, are the reason Adina Kutnicki, an investigative journalist based in Israel, and I wrote “Banned: How Facebook enables militant Islamic jihad.” That book, endorsed by Pam Geller, president of the American Freedom Defense Initiative, is available at Amazon and the WND Superstore.